Iran, Dec. 4, 2018 - Members of “Resistance Units” associated to the Iranian opposition People's Mojahedin Organization of Iran (PMOI/MEK) in Iran are launching a new campaign to mark “Students Day,” commemorated on December 7 in Iran. These resistance units are putting up signs, taking to graffiti and placing large posters of Iranian opposition President Maryam Rajavi in various cities across the country. Members of the Resistance Unit 825 in Tehran put up various signs of Maryam Rajavi calling for more students to establish resistance councils and resistance units to continue the struggle for victory over the mullahs’ regime. In Shahr-e Rey, south of Tehran, members of the Resistance Unit 504 put up signs of Maryam Rajavi hailing Iran’s brave college students in their ongoing struggle against the mullahs. Members of the Resistance Unit 824 in Tehran put up signs and posters marking the Student Day in different areas of the capital city. In Kashmar, northeast Iran, members of the Resistance Unit 514 put up signs and posters of Maryam Rajavi encouraging college students in the ongoing protests. Members of another resistance unit in Bandar Anzali in northern Iran also put up posters of Maryam Rajavi calling on Iran’s students of all agents to establish resistance units in all their schools and universities.  From Kermanshah, members of a resistance unit sent a message expressing their support for a recent telethon held by Iran National Television (INTV), a satellite TV network affiliated to the Iranian opposition PMOI/MEK. Iranians from across the globe called in to provide their moral and financial support for this network. INTV is considered the voice of Iran’s workers, farmers, teachers, truckers and millions of Iranians who are suffering under the mullahs’ regime. PMOI/MEK resistance units are continuing this struggle and pledging to prolong this effort with the goal to topple the mullahs’ regime and establish freedom and democracy in Iran.